PadBot is a robot that utilized iPad or Android Tablet to provide telepresence. The Padbot Apps support the iOS and Android platforms. It has powerful functions, such as self control, remote control, real-time video chat, friends dashboard, QR-Code etc. The user interface is unique and elegant. In our user survey, people start using it easily without reading a single line of user manual. The logic of interaction is clear. Buttons and text are self-explained. And PadBot Apps supports 26 languages, a truly globalized application. 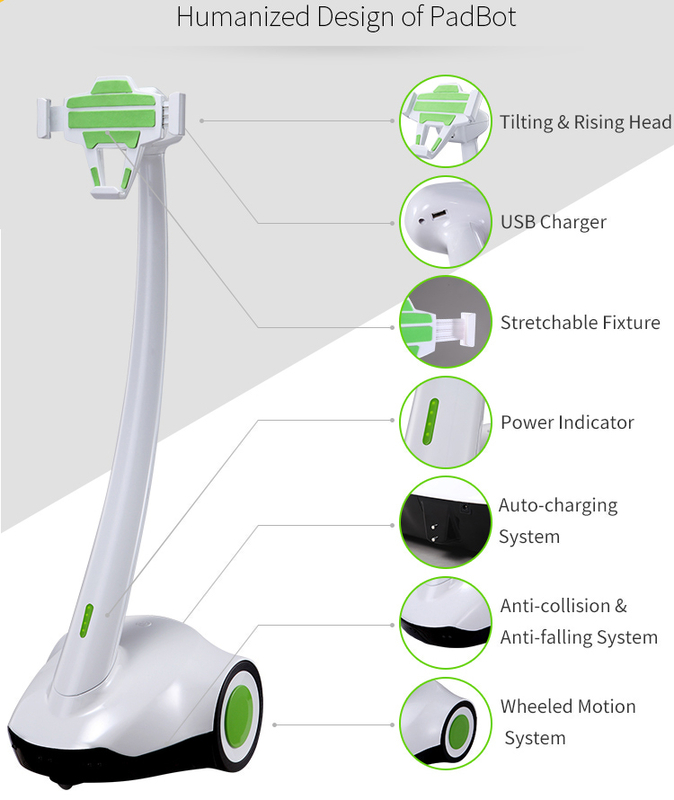 The PadBot telepresence robot has been upgraded and now includes some unique elements in addition to its collision-prevention system and anti-falling system; which will automatically stop the robot if it is close to an edge or in danger of falling. It also features a tilting and rising ‘head. Copyright © 2014 PT. Data Raya Solusindo. Other trademarks & logos are property of their respective owners.